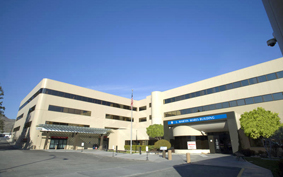 Wenatchee Valley Hospital and Clinics | Our patients still come first. Always have, always will. Wenatchee Valley Medical Center has 225 physicians and mid-level practitioners who offer over 30 specialties. The Wenatchee campus is also the home of the regional Cancer Treatment Center and Wenatchee Valley Hospital. Along with the Wenatchee site, there are seven additional clinics located in a four county region. Wenatchee Valley Medical Center is committed to quality care to all patients. The City of Wenatchee is located on the west coast of the Columbia River. It is known as the “Apple Capital of the World” for the valley’s many orchards, which produce apples enjoyed around the world. The city was named for the nearby Wenatchi Indian tribe. The Wenatchee Valley and the surrounding areas provide an abundance of sports and recreational activities for any season, including golf, swimming, hunting, fishing, hiking, rafting, skiing and snowboarding, to name a few.